The first step in controlling your blood sugar is to receive diabetes self-management education so that you can understand the fundamental factors that can help you to achieve good blood sugar control. Depending upon how elevated your blood sugars are at diagnosis, the first line of treatment is lifestyle changes—eating a balanced modified carbohydrate diet, adequate exercise and weight loss are critical steps in achieving blood sugar control. Even small changes can make a big difference. But, there is a chance, you will need to take medication to get your blood sugars under control. If your blood sugar stays high for a long time, you may have an increased risk of developing diabetes complications such as heart attack, stroke, kidney damage, blindness, and amputations. Keeping your blood sugar at a good level might reduce or prolong your chance of these problems. The American Diabetes has an algorithm to which medications should be chosen. There are first-line agents, second line, and so on. Diabetes medications can vary greatly across classes—they all do different things and can vary significantly. It's important for your physician to keep in mind—your overall health, weight, lifestyle and economic status before prescribing a medication. Different classes of diabetes medications work on specific parts of your body to control your blood sugar (blood glucose). Sometimes more than one medication is needed to control blood sugar. In this case you can take a combination medication or two different kinds of medicine. Combining two kinds of medicine can sometimes make it more likely that your blood sugar will drop too low (hypoglycemia). Some diabetes medicines can cause weight gain. If you are overweight, these types of medications are not ideal because excess weight is an indepedent risk factor for elevated blood sugars. Some diabetes medicines are injectable (but are not insulin) and can help to achieve blood sugar control and weight loss. It is not uncommon for people who have had diabetes for a very long time to be prescribed insulin. Metformin, a biguanide, remains the most widely used first-line type 2 diabetes drug. Sulfonylureas stimulate your pancreas to make more insulin, which helps lower your blood glucose. They have been around for a long time and are usually used as a second agent to help reduce mealtime blood sugars. They should be used with caution in the elderly because this population is at increased risk of developing low blood sugars. If you have heart failure, you should not take this type of pill. This type of pill can cause congestive heart failure or make it worse. Studies have shown that Avandia is associated with an increased risk of heart attacks and chest pain or discomfort from blocked blood vessels. In September 2010, the FDA restricted the use of Avandia and any drug combinations including Avandia due to increased cardiovascular risk. The FDA withdrew some of these restrictions in 2013, and the rest in 2015, as the result of newer clinical trials (particularly the RECORD trial). However, despite it's availability in the U.S., most doctors avoid prescribing Avandia. In fact, new patients should be prescribed Avandia only if they can't achieve glucose control taking any other drug. Furthermore, Actos is the preferred drug in this class for new patients. If you are currently taking Avandia and benefiting from this medication, you may be able to continue taking it; however, you must discuss this option with your physician. If you haven't already done so, it's imperative that you meet with your physician and discuss any associated risks. Meglitinides are similar to sulfonylureas in that they increase insulin output, but they are shorter acting. These medicines are typically good for older patients who need help with lowering their meal-time sugars. However, they must be taken three times a day and can be hard to comply with. Janumet and Janumet (XR) (sitagliptin/metformin). GLP-1 receptor agonists are a type of non-insulin injectable medication that has become increasingly popular and prominent, making its’ way into the forefront of diabetes care and research. Studies have shown that these types of medicines, when used in combination with diet and exercise, both short acting and long acting, help patients with type 2 diabetes lose weight, reduce their hemoglobin A1C (3 month average of their blood sugar), as well as potentially reduce the rate of cardiovascular death. These types of medications are not typically used as a first line treatment, but can be used in combination with oral medicines and have been shown to be non inferior to combination regimens such as basal insulin (long acting insulin), plus GLP-1 agonist versus basal insulin, plus rapid acting insulin. GLP-1 agonists stimulate glucose dependent insulin release, which reduces post meal blood sugars. They also act on the stomach, brain, pancreas and liver to increase feelings of fullness which promotes weight loss. There are short acting and long-acting GLP-1 agonists. Some are injected once or twice daily and others once weekly. More and more of these types of medicines continue to be approved by the FDA and we will continue to look for these approvals. Byetta (Exenatide): injected twice daily. Victoza (Liraglutide): injected once daily. Adlyxin (Lixisenatide): injected once daily. Bydureon (Exenatide long acting form of Byetta)L injected once weekly. Tanzeum (Albiglutide): injected once weekly. Trulicity (Dulaglitide): injected once weekly. Because of the large number of medications available to treat type 2 diabetes, you may be confused about which medication is best for you. People who have had diabetes for a long time or those that are unable to control their blood sugars with oral or non-insulin injectables may need to take insulin to control their blood sugars. 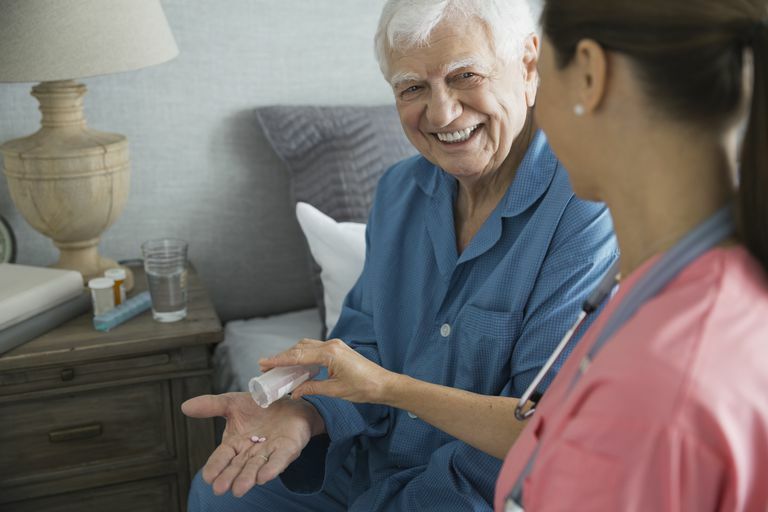 Sometimes insulin is introduced to a person's diabetes regimen and once the persons glucose toxicity resolves the regimen can be subsequently simplified. For more information on how different types of insulin work: How Do Different Types of Insulin Work? We know healthy eating is key to help manage diabetes, but that doesn't make it easy. Our free nutrition guide is here to help. Sign up and receive your free copy! American Diabetes Association. Standards of Medical Care in Diabetes – 2017. Diabetes Care. 2017 Jan; 38 (Suppl 1): S1-132. Jonas D, Van Scoyoc E, Gerrald K, et al. Portland (OR): Oregon Health & Science University. Is Metformin an Effective Treatment for Type 2 Diabetes? Could an Insulin Pump Help Your Diabetes?